You would be hard pressed to find a fan of Doug Ford’s legislative accomplishments among the Ontario labour movement. From the beginning, Ford has been clear about how he feels about unions. The inaugural bill of the Ford’s Progressive Conservative government, the Urgent Priorities Act, contained back-to-work legislation to break the strike at York University. Also early in his tenure as Premier, Ford’s PCs passed Bill 47. Titled the Making Ontario open for business Act, it took at aim at a number of employment regulations. Among other functions, this bill canceled the planned minimum wage increase to $15 per hour, reduced the amount of allotted emergency leave, removed protections for employees who ask for a schedule or location change, as well as protections for employees to refuse last-minute shift requests. These bills have been accompanied by similar rhetoric. 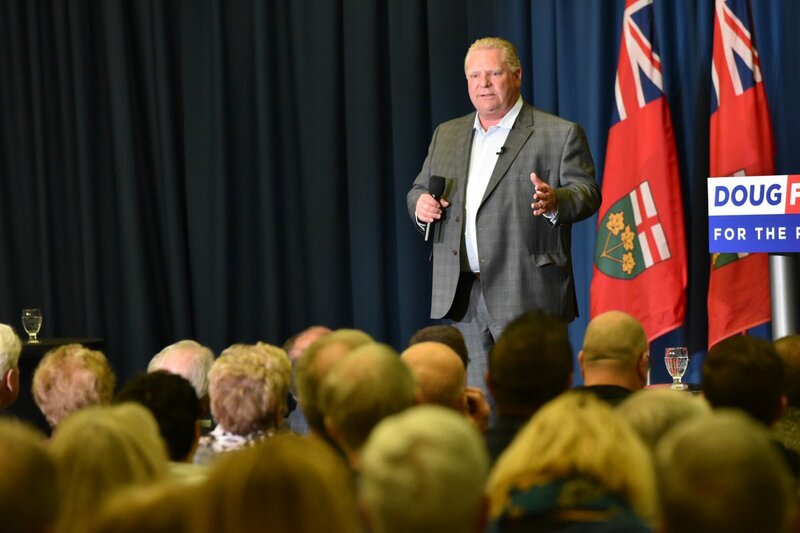 Responding to the news that thousands of Ontario high school students would be walking out of class in protest of his government’s education reforms, including increasing class sizes and cuts to funding, Ford placed the blame for these protests on “union thugs” from the teachers’ union. A bill that looks to reduce red-tape in many areas of business, Bill 66 amends the Employment Standards Act, Labour relations act, and Pension Benefits Act. Although it contains measures that have environmental activists up in arms, such as removing the regulations that forced industries to keep track of the toxic chemicals they use, a significant portion of the bill continues the PCs campaign against labour regulations. Critics of this measure, such as Deena Ladd, the executive director of the Workers’ Action Centre, has taken issue with this justification. Ladd argues that requiring these requests to be approved allows for the tracking of requests and helps prevent abuses, granting some level of transparency regarding which employers are asking employees to work up to 80 hours per week. It is hard to argue against the narrative that Ford’s government has been committed to removing labour regulation and passing wide-ranging anti-labour legislation. Despite similar circumstances in Quebec, there has been significantly less legislation aimed at deregulating labour markets. The circumstances are similar in that both provinces saw Liberal governments defeated by a more conservative challenger, and like Ford in Ontario, the Coalition Avenir Quebec (CAQ) promised to reduce red tape for entrepreneurs and self-employed workers. Despite these similarities, Francois Legault and the CAQ have been much quieter on labour reforms (other than the infamous Bill 21 regarding secularism) than their Ontarian counterparts. Why? Some may point to Quebec’s relatively strong labour movement, specifically Quebec’s history of having a significantly higher percentage of unionized workers, as well as a history of Labour militancy. Another explanation for this difference is the contrasting priorities of the respective governments. While a large part of Ford’s campaign revolved around making it easier for businesses to operate in Ontario, the CAQ had a much more varied platform. For example, the CAQ placed much more emphasis on their promise to ban public workers from wearing religious symbols than their pledge to remove red tape. Although also drawing its fair share of critics, this emphasis has kept the pressure off of labour. While both of these factors help explain the gap in legislation between Ford’s PCs and Legault’s CAQ, the main factor seems to be the differences between the administration that each party replaced. Although both were Liberal governments, their policy implementation and attitude towards labour had noticeable differences. During the lead up to the last election in Quebec, a union coalition led by the Canadian Union of Public Employees, better known in Quebec as the Syndicat Canadien de la Fonction Publique (CUPE/SCFP), embarked on a campaign against both the incumbent Liberals and the CAQ. This campaign argued that the Liberals had rolled back union gains and that the CAQ would only be more of the same. Despite not having a stellar relationship with organized labour, Wynne’s Liberal government passed Bill 148, known as A plan for fair workplaces and better jobs. This bill was broad and looked to deal with the rise of precarious employment, contained a minimum wage increase to $15, protections for employees who refuse last minute shifts, and much more. Much of what has driven Ford’s hyperactive labour reform program, is the fact that while Wynne’s reforms were not enough in the eyes of some, she shifted the balance of power away from employers far more than her Liberal counterparts in Quebec. Much of Ford’s program has explicitly aimed at undoing his predecessor’s accomplishments. Put simply, Ford has done more to harm labour than has Legault because there are more labour gains to be undone.